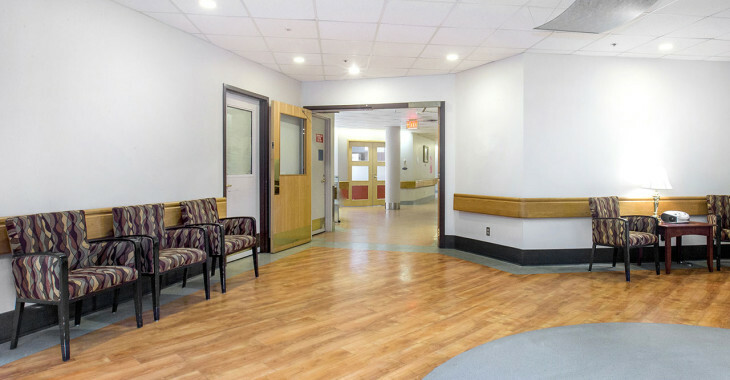 Good Samaritan Dr. Gerald Zetter Care Centre is a continuing care centre/auxiliary hospital with 190 long-term care suites for the elderly and frail elderly. 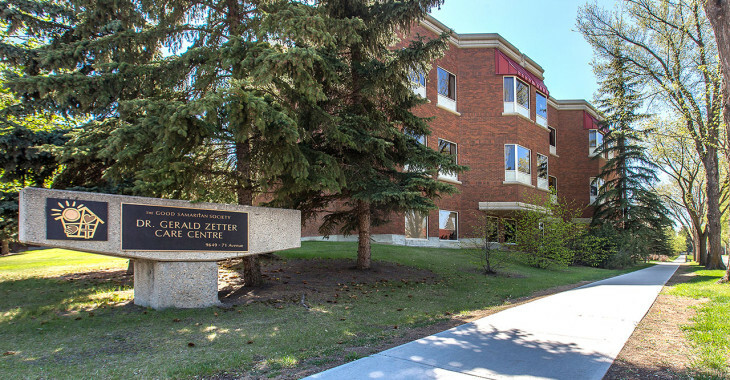 Named to honor Dr. Gerald Zetter who served as Chief of Medical Staff at The Good Samaritan Society for 25 years from 1974 to 1999, the Centre continues to reflect the care he was so well known for as seen in staff who continue his legacy. 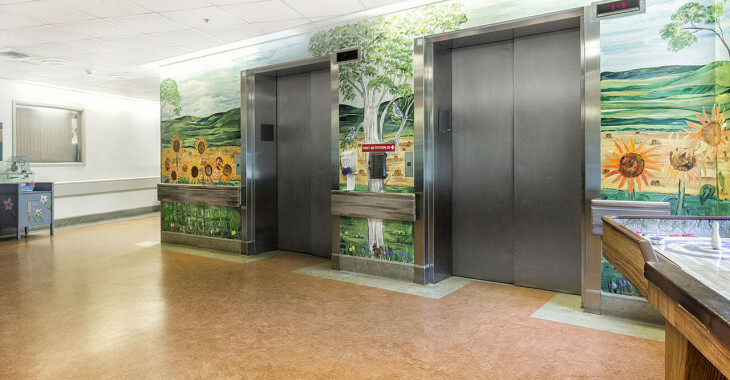 Resident rooms are located on two floors, with 100 residents living on each floor. The four pods house 25 resident rooms each with 12 semi-private and 13 private rooms in each. 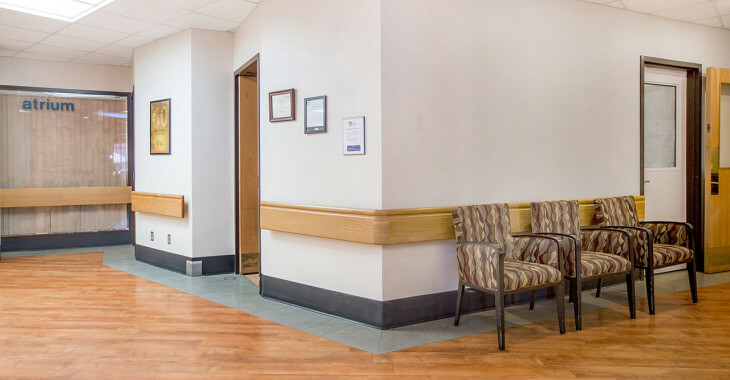 A chapel on the main floor and the Gniewotta Quiet Room offer a place to unwind, pray, or relax for those family members who are experiencing challenging times. The beautiful treed patio area, complete with gazebo and umbrella for shade and wheelchair accessible flower boxes is a “spring and summer” destination for families and residents. 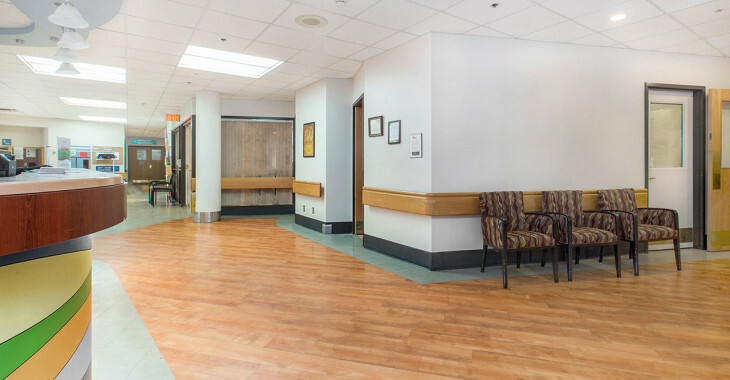 The welcoming environment takes a holistic, person centered approach to care, ensuring the resident focus is maintained through recreational, pastoral care, and rehabilitation programs focused on enhancing the quality of life of the varied populations residing here. A sampling of stimulating focus’ are intergenerational programming, Pet Therapy, watercolor art classes, as well as music, reminiscing and socialization therapy, integrating staff engagement, and volunteer involvement to succeed in providing resident satisfaction and well-being. The well maintained fish tanks and bird homes inspire and stimulate our residents. 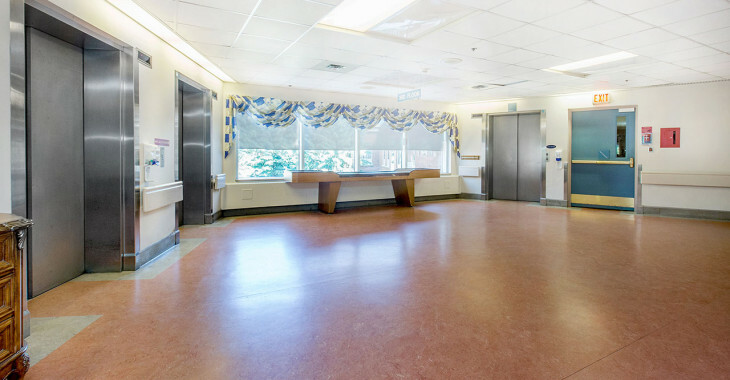 Respite, two beds designated for short-term admission of people who are normally cared for at home, therefore allowing the caregiver a rest or vacation for a short period of time. Eight Designated Tracheostomy beds, designed to care for those individuals with high complex care needs requiring assistance of an artificial airway for breathing.